Tales of Xillia 2 pre-order bonus. A short story about Leia's decision to go to Elympios between the games. Short story about Milla Kresnik. Short story about Julius, and Rideaux. 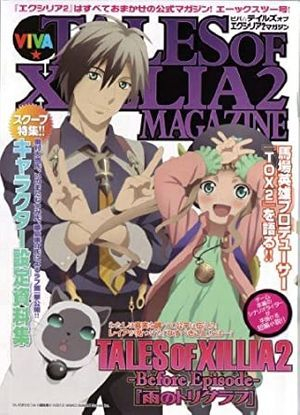 Short story about Fractured Milla, Ludger, and Elle. Short story about the origin of the world. Short story about Julius' past.